It seems many people were disappointed by yesterday's Apple event just because the new iPhone wasn't named the iPhone 5! 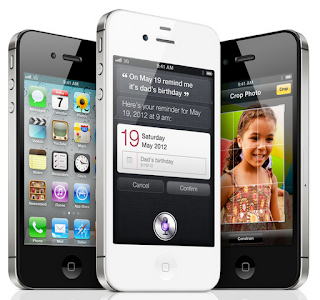 I, however, believe that the iPhone 4S tech specs are in line with what was expected for the rumored iPhone 5 (dual core A5 processor, 8MP camera, 1080p video recording, SIRI assistant, faster graphics etc.). Surprisingly, the overall feedback on the Internet seems to be solely based on the fact that this new iPhone was not named with the number 5. Of course, Apple could have named it iPhone 5 but that wouldn't have been in line with their practices. As the iPhone 4S sports the same form factor than the 4, they decided to keep the number 4 in its name (as for the iPhone 3 & 3GS). The press and most customers would have applauded if that same phone were named iPhone 5 instead of iPhone 4S as its specs are, for the most part, what were expected for an iPhone 5. To me, the iPhone 4S looks like a wonderful phone that's going to be the fastest ever and on a daily use, that's what I want my iPhone to be good at: speed. I also wanted a better camera which looks like is what's coming. I don't care much about LTE speeds as I think that 14.4Mbps is enough on a cell phone. Let's be frank, most people in the world (even in the US) don't even have that kind of bandwidth for their home Internet connection. How can they expect their phone to be faster and most importantly what would they do with such a bump in speed, specially when their mobile Internet usage is capped? The other great news about the iPhone 4S is that its form factor hasn't changed which means that all our current accessories will work fine with it. Isn't that great news? Why would you want that already thin phone to get any thinner? I don't think it would be comfortable and practical to hold it if it were the case. Instead of going for the slimmest competition, Apple decided to keep its current form factor and not impose on customers to buy a whole new range of accessories (cases, bumpers, docks, cables). Namely, I think this is great news for BMW & MINI Connected users who will be able to continue using their current car snapins. So, all in all, I don't think yesterday's announcement could have been better and people dumping their Apple stocks just don't get it! People bitching about the fact that it looks still like the iPhone 4 from the outside are some damn posers. They're just angry they can't show everybody that they have a new iPhone, that's all. I enjoy mine, having a phone in my pocket which outclassed spec wise my old iMac Bondi is awesome.